LINE, one of the world’s leading messaging platform, is celebrating its 4th anniversary. To show gratitude to its many subscribers, LINE has prepared four special limited edition wallpapers for mobile phones in lieu of this occasion. The wallpapers feature LINE’s popular characters, of which anyone can download for free just by simply adding LINE’s Official Account. 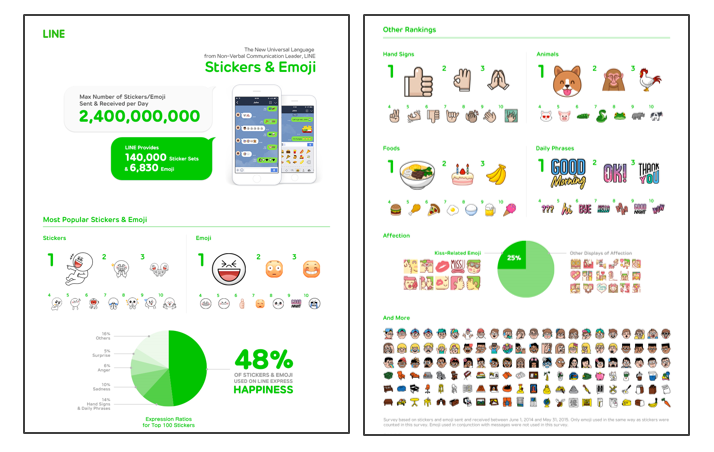 LINE has also created an infographic, which illustrates how the service has changed the way people communicate–by replacing traditional text messages with stickers and emojis. One of the key figures from the infographic reveals that the maximum number of stickers and emojis sent and received on LINE per day marks 2.4 billion, while LINE provides 140,000 sticker sets and 6,830 emojis.